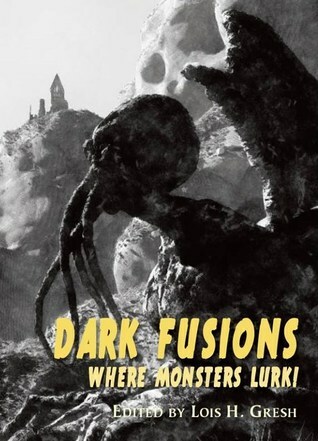 Nick Cato’s review of Dark Fusions: Where Monsters Lurk! Nick Cato's Reviews > Dark Fusions: Where Monsters Lurk! This is the first time I've reviewed an anthology that features one of my stories, so I'll politely SKIP that one and get to the other 17 pieces that make up this collection edited by the great Lois H. Gresh. Obviously the theme here is monsters, but the scope of what makes a monster here is quite wide. Among some of my faves are opening tale THE REST IS NOISE by Nicholas Kaufmann, in which a couple of gents learn the true, dark meaning behind music; Norman Prentiss' BENEATH THEIR SHOULDERS, where we're introduced to a very strange race of people; Cody Goodfellhows bizarro-horror hybrid THE FLEA CIRCUS is one of the wilder carny tales I've read in a while, complete with what is arguably the finest prose in the collection (which includes some well-timed humor). My favorite of the collection comes from Ann K. Schwader: WHEN THE STARS RUN AWAY is a bleak, terrifying apocalyptic vision featuring a smart young girl and her father as they face the ultimate end; Lisa Morton's eerie GOLDEN STATE will give you a whole new look at the "gold rush," and Yvonne Navarro's FACELESS gets my vote for scariest story of the lot, as a woman has to deal with a feature-less man no matter where she is. If this one doesn't get your goosebumps going you must already be dead. Christopher Fulbright's heartbreaking DEATH EATER deals with a father confronting a Lovecraftian beast in order to save his daughter from cancer, then Mark McLaughlin brings some sinister chuckles with AUNT PALOMA, a funny fairy-tale-like monster romp. Sign into Goodreads to see if any of your friends have read Dark Fusions.